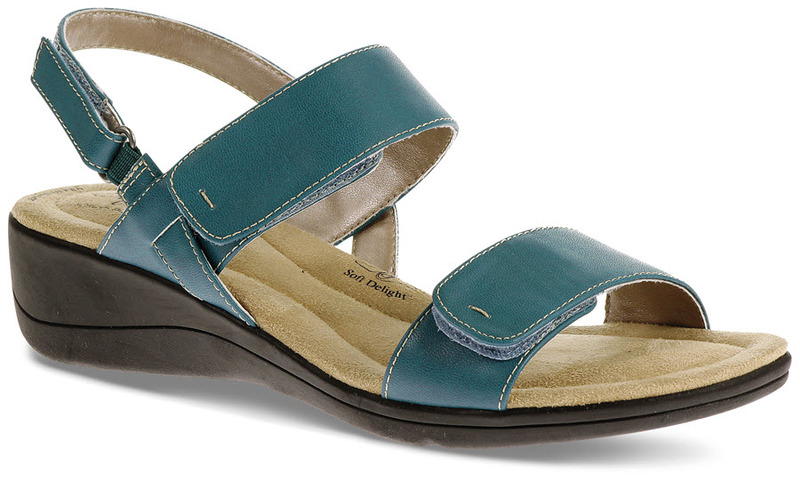 Great look, great price: the teal leather “Wela” sandal from Hush Puppies’ Soft Style line has a cushy “Soft Delight” comfort system underfoot and a unit bottom with 1¼-inch heel. 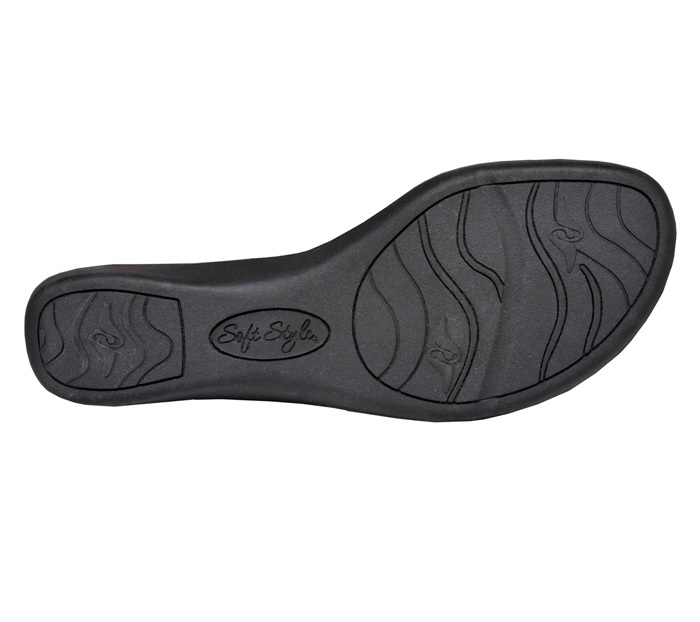 The wide straps adjust with hook-and-loop closures and are leather lined. ON SALE! Originally $58.95. Limited stock in women's EW (2E) width in sizes indicated.